Ten Catholic churches have been closed in the Scranton Diocese in recent years. The author has written historical profiles of them with special notes about the Irish, German, Polish, Italian and Austrian ethnic origins of each. Ivana Pavelka worked with students in the local Arts Engage program to photograph special attributes of each site. The book serves to tell the story of immigrants and their descendants in our northeast area. 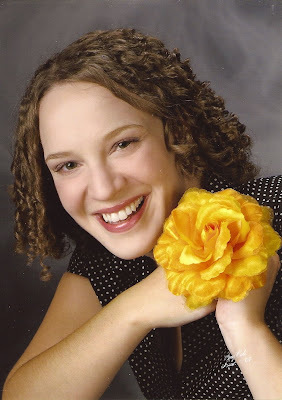 SARAH PICCINI graduated from the University of Scranton with a degree in History and Communications. In 2010, she received a Master’s degree in History focusing on the ethnic and labor history of the Lackawanna Valley. She collaborates with the Lackawanna Historical Society on many projects and programs, and serves the Vice President of the board for the Anthracite Heritage Museum and Iron Furnaces Associates. 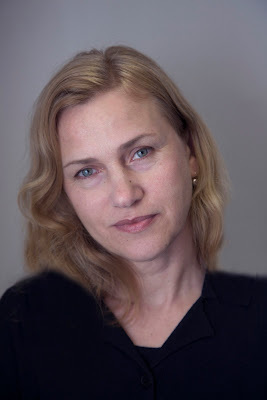 IVANA PAVELKA is a co-founder and co-manager of the photographic gallery Camerawork in Scranton and is a professional photographer who has had many solo and group shows. Her professional career includes teaching in the art department at Keystone College (La Plume, PA), giving workshops and residencies as a rostered artist in schools, and working as a commercial photographer. She is also a professional bookbinder who was trained in European methods in Prague, where she grew up. When she came to the United States in 1980, she free-lanced as a bookbinder for such institutions as the Metropolitan Museum of Art. She has lived in Tunkhannock, Pennsylvania, since 1991. 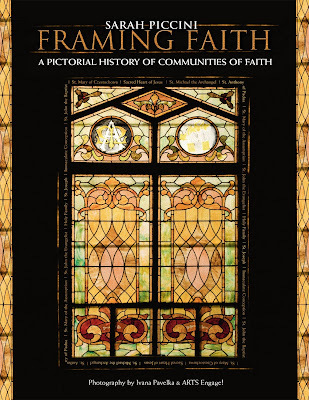 Framing Faith tells the story of the faith of immigrants and their descendants, spotlighting ten Catholic churches in the Diocese of Scranton that were closed due to restructuring. The churches, SACRED HEART, MAYFIELD; ST. ANTHONY OF PADUA, SCRANTON; ST. JOSEPH, SCRANTON; HOLY FAMILY, SCRANTON; ST. JOHN THE EVANGELIST, SCRANTON; ST. MARY OF THE ASSUMPTION, SCRANTON; ST. MARY CZESTOCHOWA, SCRANTON; ST. JOHN THE BAPTIST, TAYLOR; IMMACULATE CONCEPTION, TAYLOR; AND ST. MICHAEL, OLD FORGE have rich ethnic heritages. They are Polish, Slovak, Italian, German, and Lithuanian parishes with long traditions and deep roots. Each church was founded by immigrant groups who came to the coal fields of the Lackawanna Valley with little more than their faith in God. Their churches served as the center of the community and touchstones of the Old Country. 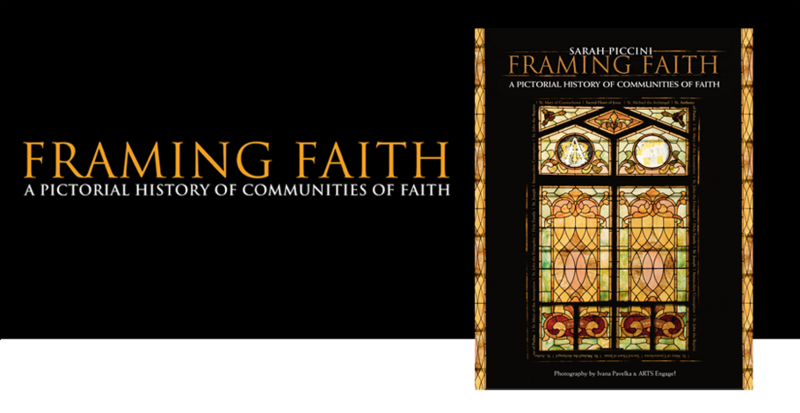 Framing Faith traces their histories from small beginnings through baptisms, weddings and funerals to their final celebrations. Throughout the text are images from each church, visual reminders of what was for many an important part of their lives. 96 pgs., 8.5" x 11"
Earn $9.98 a copy for your cause.